We are one of the most reliable Sunfast Non Benzidine Direct Dyes exporters from India. 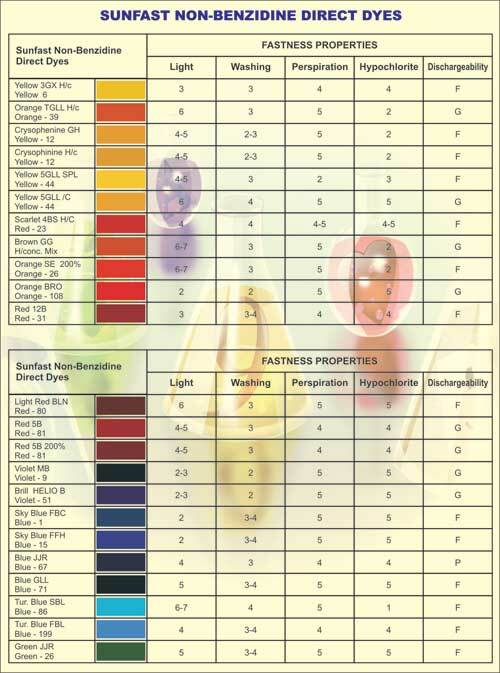 We present to you world-class range of Sunfast Non Benzidine Direct Dyes. Available in multifarious packages, our Sunfast Non Benzidine Direct Dyes are reckoned for their highest quality level. We also bring to you most modern range of Sunfast Non Benzidine Direct dyestuffs. Our Sunfast Non Benzidine Direct Dyes are long lasting and do not loose original quality level. Our Sunfast Non Benzidine Direct Dyes have been tested as per international industry norms.